AFCA Forums > Antique Fan Collectors Association > Pre-1950 (Antique) > Brush cap needed for r&m 2610 5 wing? 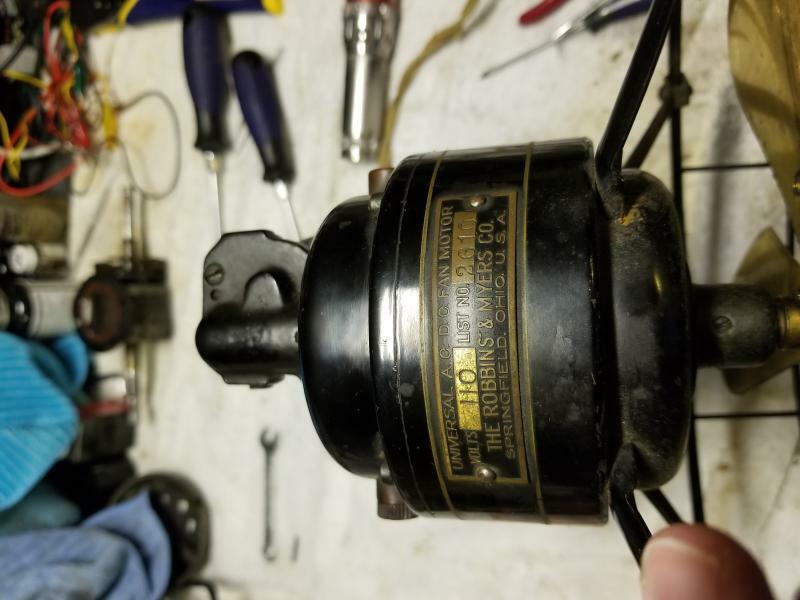 Looking for a brush cap for an r&m 2610. Its the 5 wing version not sure if any different from the 4 wing. Anyone happen to have one? Is the thread size 5/16-18? Not sure....I'll check and get back to you. Russ. Yes its 5/16 thread. Jeff Jones wrote: Russ. Yes its 5/16 thread. Your brush cap appears to be the same size as the little R&M 8" universal and DC motors take. It's either you go to the BST and cross your fingers someone has a bomber out there to part with a cap for you, or seek help from Darryl Hudson to reproduce one, or a set for you. I tried in past to seek a replacement for one of my 8" models on the web. McMaster Carr has a threaded black nylon thumb screw with a knurled thumb screw that closely matches the knurling and diameter of the R&M brush cap. 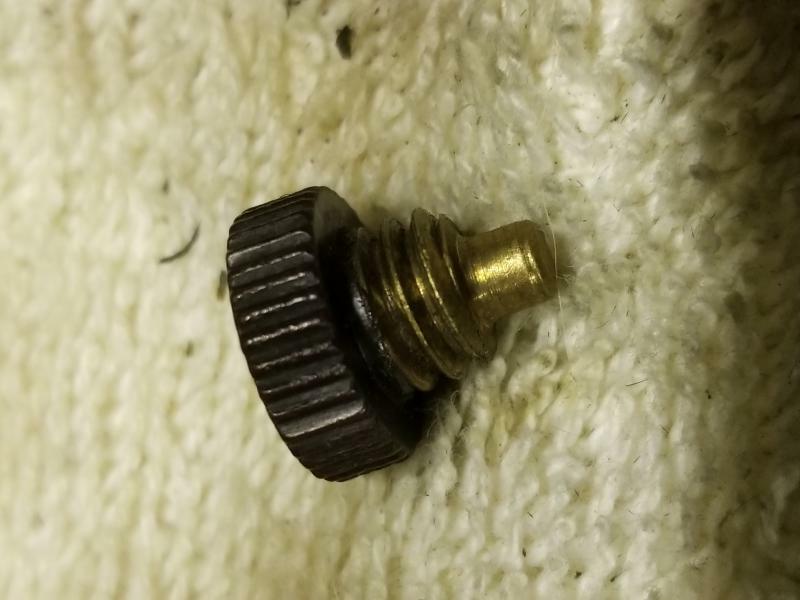 The problem was the largest threading offered for this nylon thumb screw was 1/4-20. Page processed in 0.1967 seconds (34% database + 66% PHP). 28 queries executed.